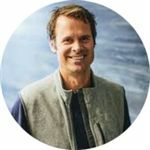 Tim Westergren attacked one of those big audacious goals when he launched the Music Genome Project® more than a decade ago, a project that would later power the personalization behind Pandora® internet radio, the leading personalized radio service. By creating algorithms that would help predict what music people would like based on their previous choices, Westergren set the stage for the type of digital personalization transforming media today. Like so many great ideas, Pandora fills a very basic need and it does it well. “I think we solve a big problem – helping people enjoy music they know and discover music they love – with a very simple solution,” Westergren says.